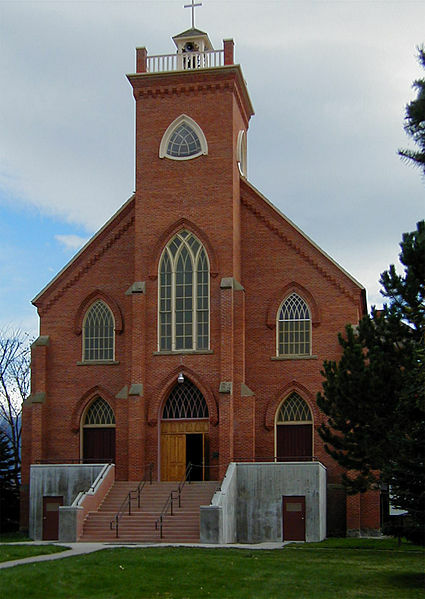 The St. Ignatius Mission is located in the town named after the church, St. Ignatius, Montana on the Flathead Indian Reservation. 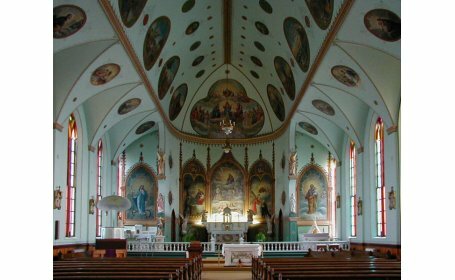 It was built in the 1890’s and the ceilings and walls display scores of original artwork by Brother Joseph Carignano. The name comes from St. Ignatius of Loyola, a Spanish priest who founded the Society of Jesus order. The Mission mountain range create a beautiful backdrop for the church.